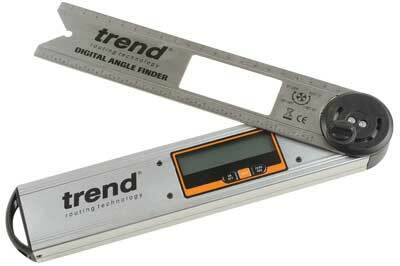 This addition to Trend's measuring and marking suite is chunky enough to be a perfect site tool. It is a conventional spirit level with a bubble vial as well as being a digital angle finder with metric and imperial measuring scales to boot. The digital scale can be zeroed and the last reading can be kept for reference. The angle lock knob can be removed to allow full 360° measuring or used in one of four holes to limit the measuring range. This should find a multitude of uses on-site. 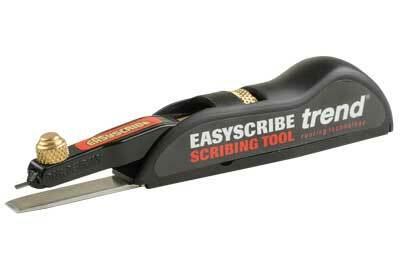 There are different solutions to scribing in meeting surfaces but the Trend EasyScribe is particularly handy. An extendable metal guide plate can be used to reference off the adjacent surface to the one being scribed from 'narrow' up to a 50mm extension. The scribing arm raises and lowers with a one-handed adjustable wheel over a distance from 1-40mm. The 2H flat leads are gripped firmly and tightened with a milled brass nut. Spare leads are provided. No excuses now for a sloppy fit! 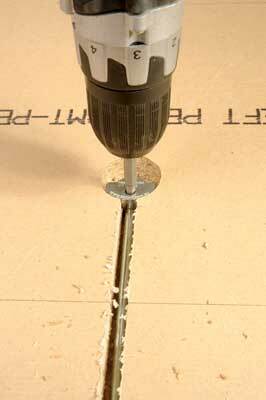 When I used to fit kitchen worktops, spannering the bolts up tight to close the joints was a real pain. Now Trend have a clever solution, bolts with a geared head at one end so a hex bit - supplied - can be used to quickly tighten up the joint. 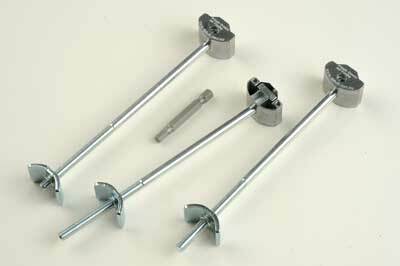 Particularly useful for awkward installations where access may be difficult for spanners and hands to gain access. Well worth the premium for a better solution.